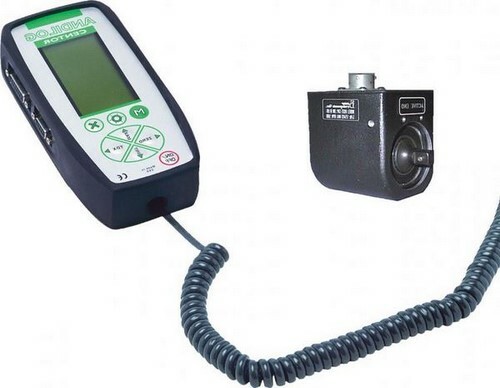 The rotary torque gauge CENTOR EASY RD consists of a rotary torque sensor. They have the ability to rotate and to measure torque applied to rotating drives applications. Therefore they are ideals for systems designed for continuous rotation, such as measuring the starting torque on an electric screwdriver or measuring the torque on motor shafts. We offer a wide torque measurement range from 6Nm to 150Nm, with a rotational speed up to 5000 turns per minute. The Rotary Torque gauge Centor Easy RD is the perfect solution for all your low and medium drive applications. The Centor Easy gauges have a very large graphic display and show a maximum amount of information for more efficient measuring: they show the current reading and the peak value at the same time, and a bar graph to show the operator whether they are close to their maximum capacity. if necessary, the backlighting can be used to further enhance reading comfort. its advanced measurement chain enables it to use a sampling rate of 1,000 Hertz with a resolution of 1/10,000 FS and a total error of less than 0.5% FS. displayed after each measurement. All the values of the production batch are kept in the memory and can be sent to a computer by RS232. The operator is spared any data entry, knows his results in real time and saves everything at the end of the tests.